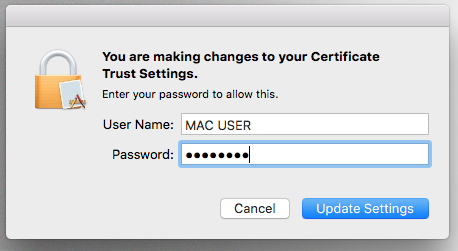 You will need to enter the credentials for an administrator user account on your Mac to allow the changes. 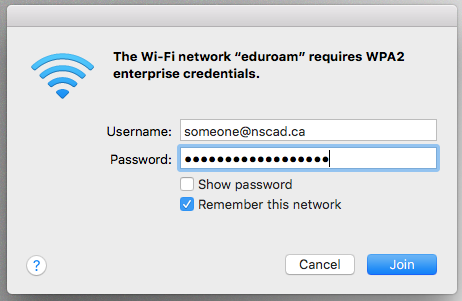 This is your Mac’s user name and password, not your NSCAD user name and password. Click Update Settings to finish connecting to eduroam.